At thirty-six earnest, bookish, terminally shopping averse Alyssa Harad thinks she knows herself. Then one day she stumbles on a perfume review blog and, surprised by her seduction by such a girly extravagance, she reads in secret. But one trip to the mall and several dozen perfume samples later, she is happily obsessed with the seductive underworld of scent and the brilliant, quirky people she meets there. If only she could put off planning her wedding a little longer. . . .
Alyssa Harad grew up in Boise, Idaho. She received her undergraduate degree from Harvard and a PhD in English from the University of Texas. 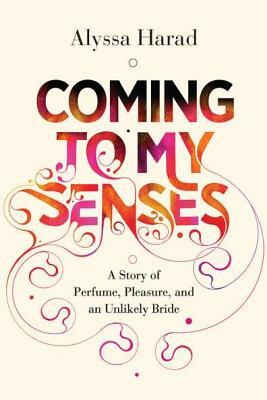 Her writing has appeared in "O, The Oprah Magazine" and the perfume blogs "Now Smell This" and "Perfume-Smellin Things." She lives in Austin, Texas, with her husband."